Wigan chairman Dave Whelan has responded to the Football Association about his controversial comments on Jewish and Chinese people last week. The FA is investigating his remarks "as a priority" and had given him until 18:00 GMT on Wednesday to respond. Whelan, 77, has publicly apologised for his remarks in a newspaper interview while defending his decision to appoint Malky Mackay. But he has denied making racist remarks and insists he was misquoted. The FA says it will now consider Whelan's observations before deciding whether to charge him. 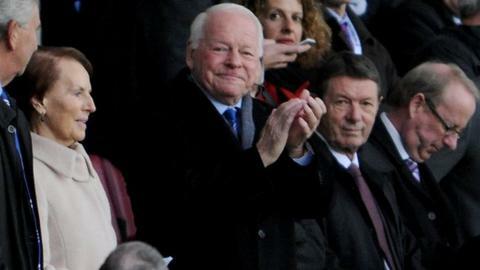 Whelan, who is also Wigan's owner, has said he will resign as chairman if he is found guilty by the FA.